Several months ago, Google made a proposal to the Unicode's emoji subcommittee (PDF link) to add 13 female professions to the emojis in a bid to encourage gender equality and move beyond the traditional roles that women were depicted in in the existing emoji list (dancer, queen, getting a haircut, and so on). 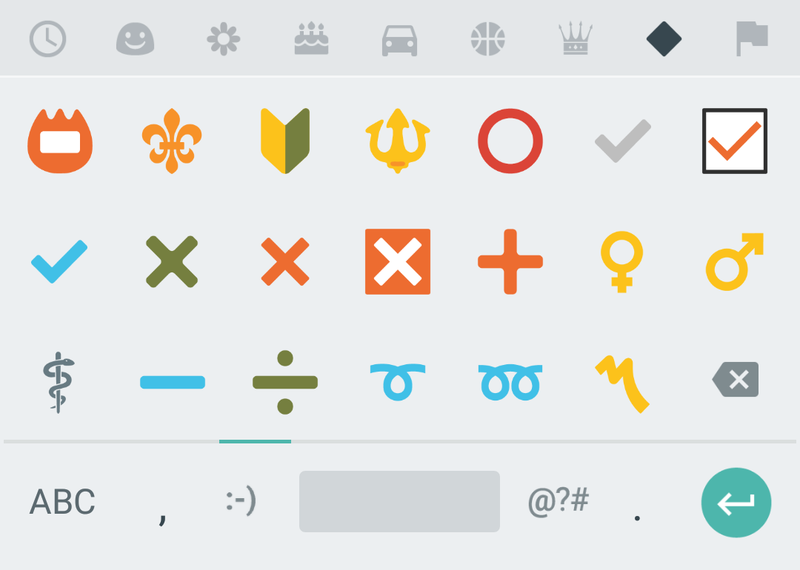 On July 14, Google announced that 11 of these were approved by the subcommittee and would be an official part of Unicode 10, but could already be implemented by vendors in Unicode 9.0. The two that didn't make the cut were the nurse/dentist which was seen as too similar to the doctor/health worker, and the high-tech industry worker which was probably a little too specific. 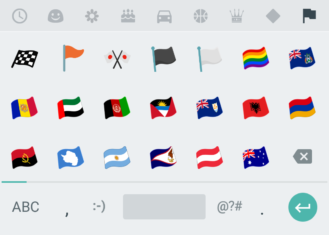 You can read more about the design process behind these and the changes that occurred in this Medium post by Googlers Rachel Been and Agustin Fonts. 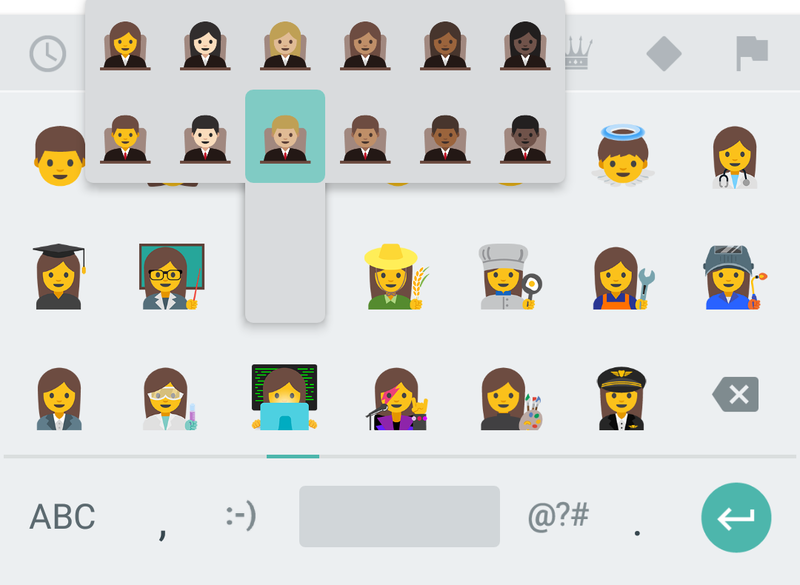 These emojis are implemented as a ZWJ sequence (female + hospital = doctor, female + plane = pilot) so that they're backward compatible with devices that don't natively support them yet. 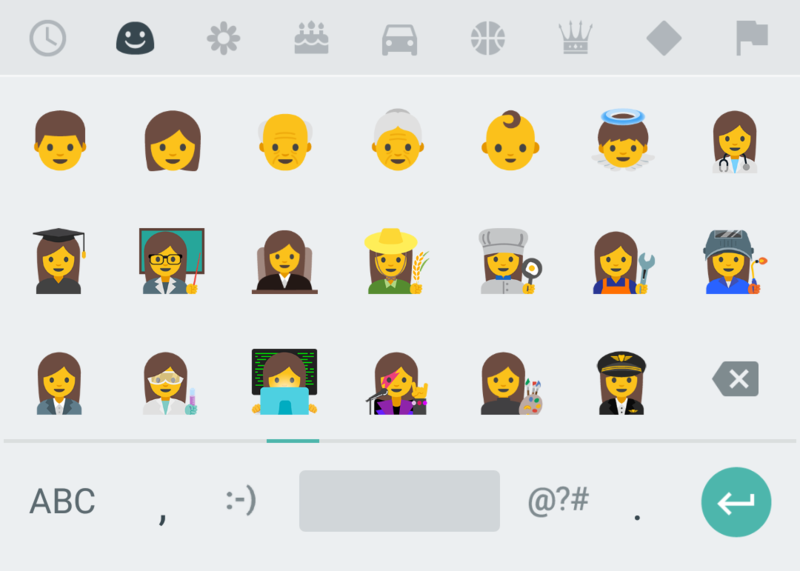 It's interesting to note though that Google has decided to show the female version of the emoji as default and only surface the male one in the pop-up. 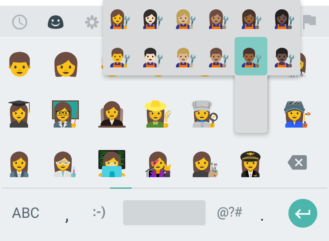 Personally, I'm happy it stuck to its guns from the original proposal saying that these are there to help promote gender equality in the workplace. 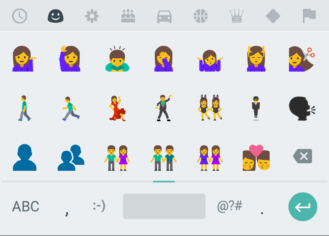 If you've been using iOS 10 or WhatsApp's beta on Android for the past month or so, you may have seen new gendered variations on existing emojis. 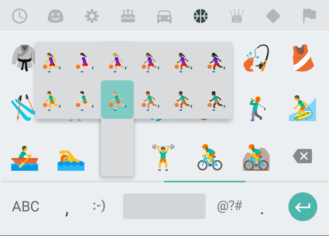 The running boy gets a running girl, the dancing woman gets a dancing man, and the different sports players have both male and female variants now. 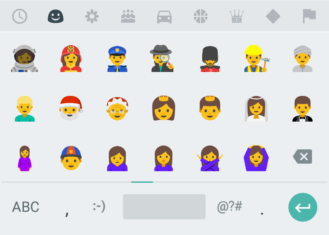 All of these are implemented in Android 7.1. However, the implementation is a bit inconsistent. 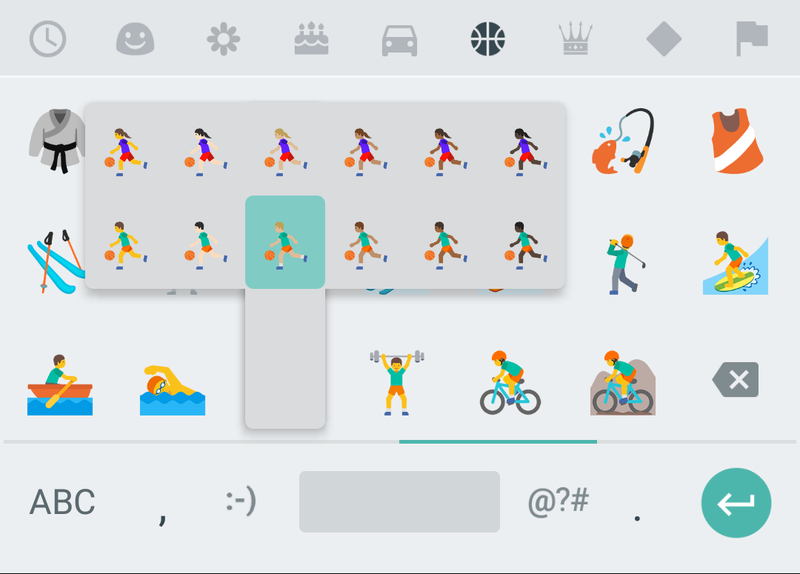 Some are readily visible in the keyboard as both genders (dancing, running, etc), others require the pop-up to show the gender variant (sports, female getting a haircut or massage and her group of similar emojis, etc). You'll have to figure these out by trial and error if you're interested in sending gender-specific emojis to your contacts. 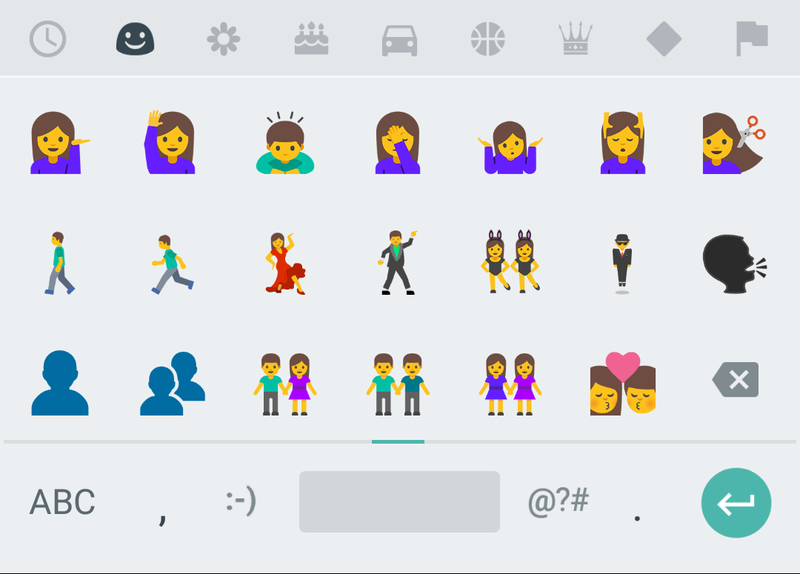 Left: Some emojis have both genders in the main keyboard. Right: Some require the pop-up. 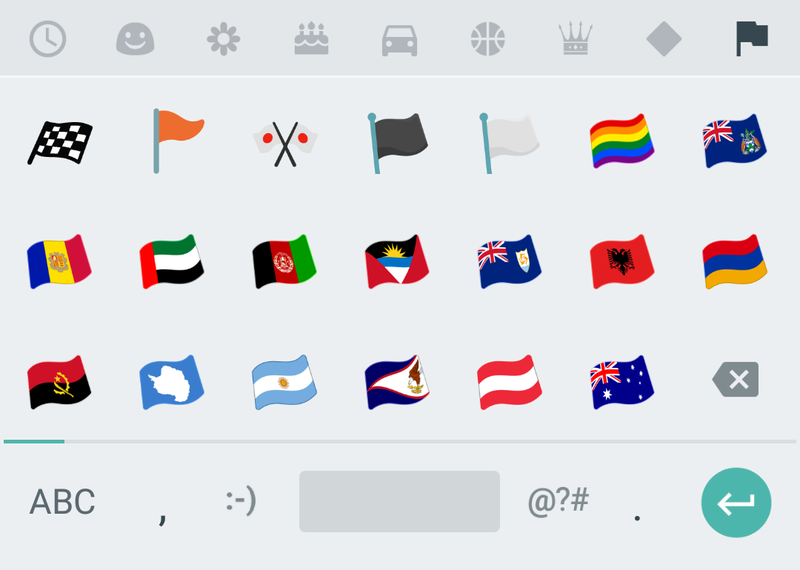 4 other new emojis are also showing up in Android 7.1: a rainbow flag in the flags tab, and three new signs for female, male, and Staff Of Aesculapius (ie. medical sign of snake on a rod). 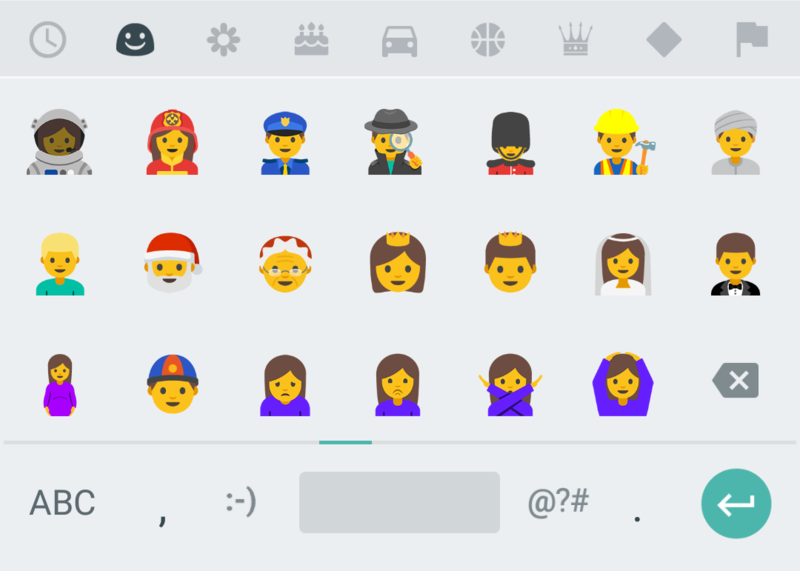 Being politically correct and promoting equality is sure causing the emoji numbers to balloon lately. 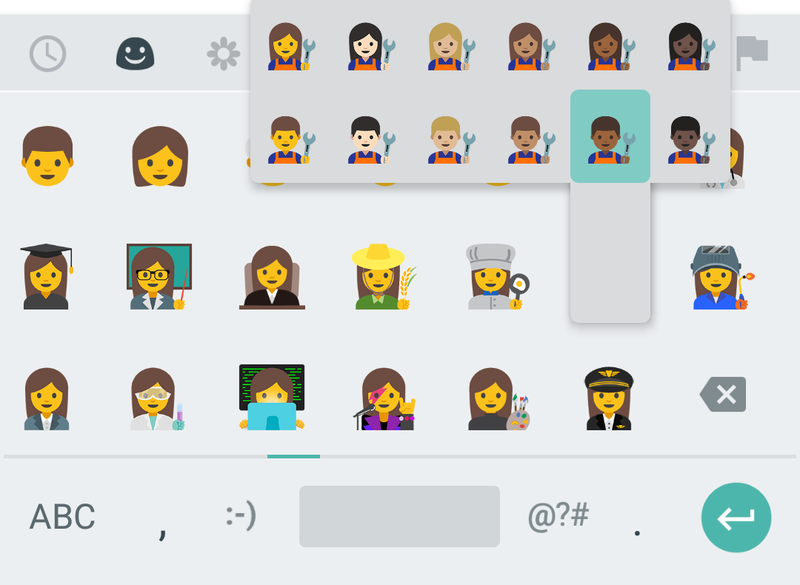 While I personally don't care too much whether all of the variants exist, or that there are variants in the first place, I also understand that these inclusive emojis mean a lot to a huge number of people who feel they can identify better with a specifically gendered and/or skin-tone variant and think they're better represented through them. 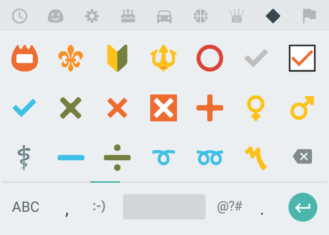 I do think, though, that Google and keyboard makers will have to figure out a better way to surface these emojis because it's getting harder and harder to find the one you want.